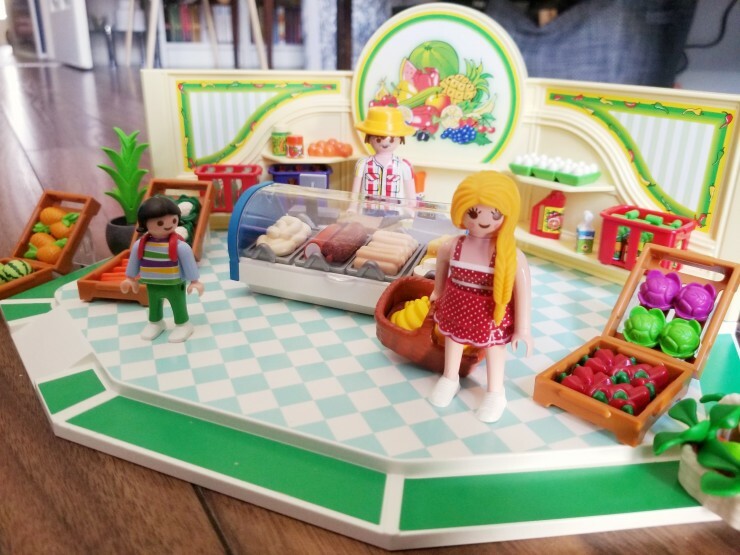 Celebrate Imaginative Play with Playmobil - Frugal Mom Eh! Keeping our girls entertained while they are at home is a top priority and we have found that facilitating imaginative play is the best way to keep them engaged and learning. Imaginative play is a wonderful opportunity for kids to explore the world. The Mars Mission allows kids to travel and explore faraway planets. The Police Tactical unit helps you to create rescue missions here on earth. The Shopping theme features charming shops including the Grocery Shop and the Bike and Skate Shop. 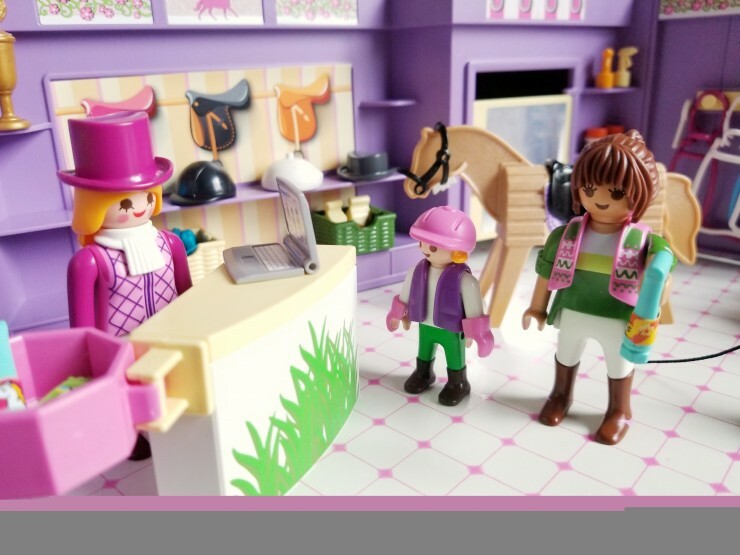 The Pet Hotel has fun places for children to take care of their favourite PLAYMOBIL pets. 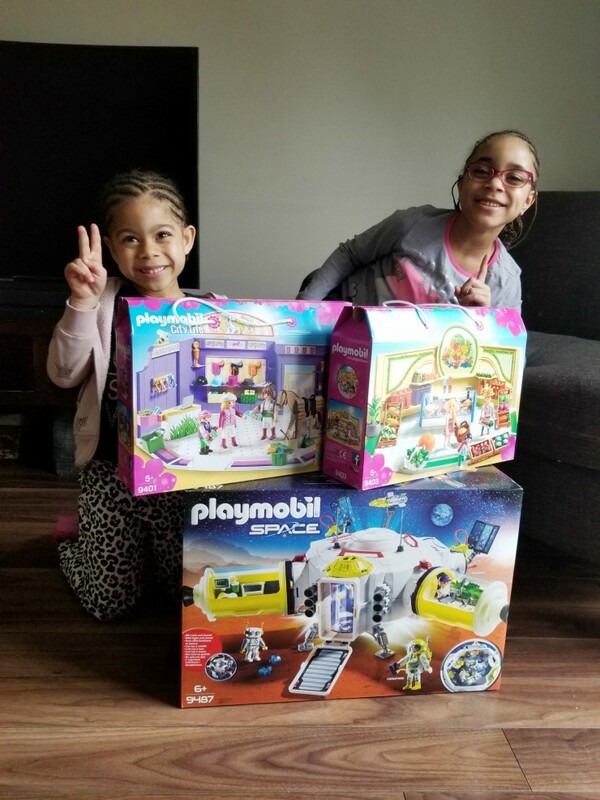 We were offered the opportunity for the girls to explore The Shopping theme as well as the Mars Mission theme and the sets arrived just in time to save March break. 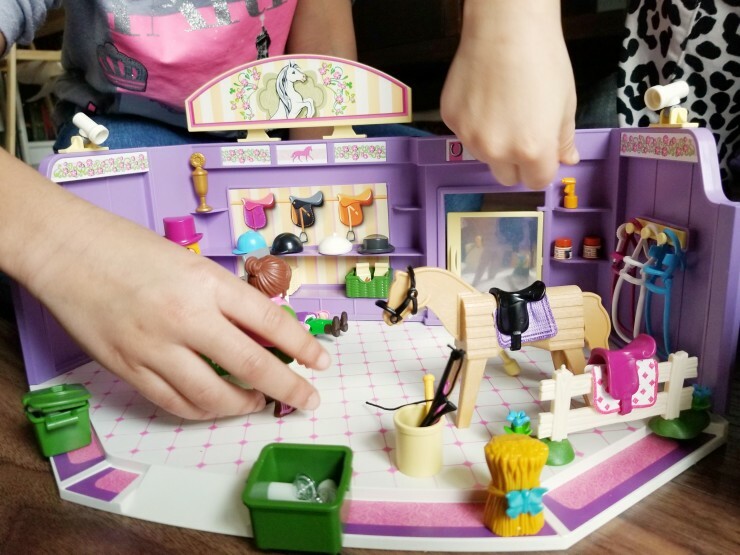 The first of the three sets we checked out was the Horse Tack Shop set. Choose the perfect riding accessories at the Horse Tack Shop. Coordinate the colours of the saddle and reins to match your horse. If you aren’t sure which pieces will be the best fit, use the horse mannequin to try it on and see how everything will look together. 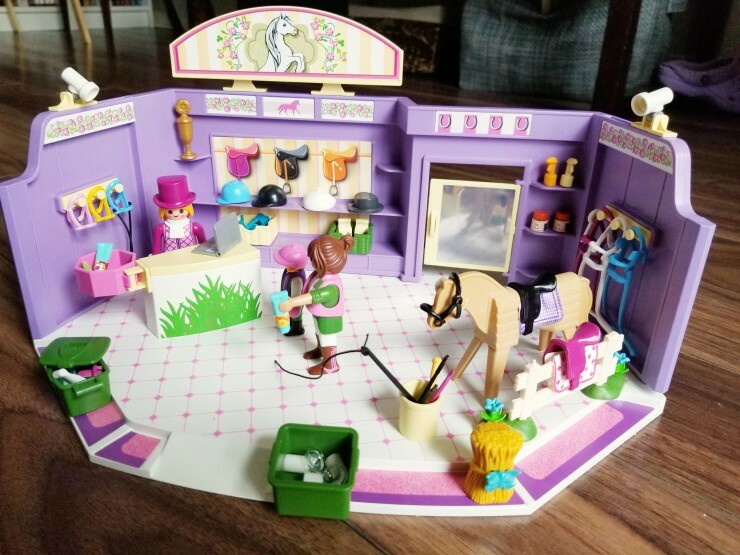 The Horse Tack Shop Set includes two adult figures, one child figure, multiple saddles, riding hats, grooming tools, trophy, display baskets, haystack, checkout counter, laptop, and many other accessories. From the Shopping theme we also checked out the Grocery Shop. Fill up your shopping basket with fresh produce, including pineapples, watermelon, and carrots at the Grocery Shop. Behind the counter, you will find a selection of fresh meats and cheeses. And, you can’t forget the milk and eggs! The large crates make it easy to display all the produce, while the shelves are perfect for canned and bottled products. 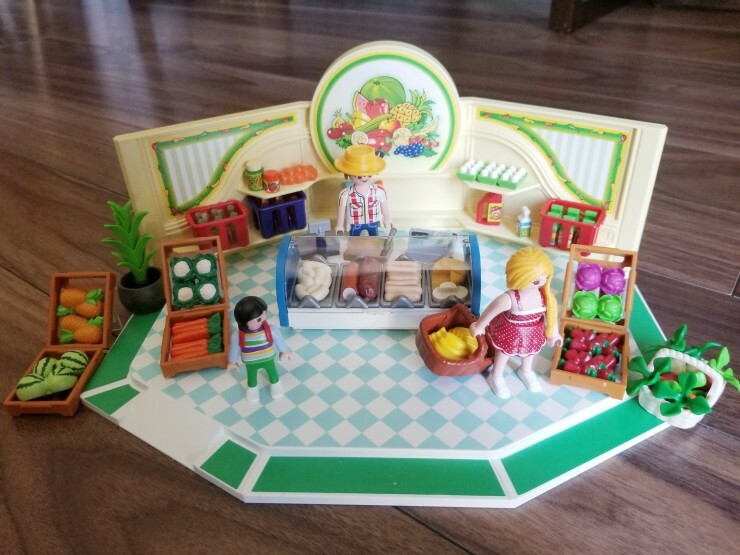 The Grocery Ship set includes two adult figures, one child figure, peppers, watermelon, carrots, bananas, cauliflower, cheese, eggs, and other produce, cash register, produce crates, baskets, plant, produce scale, backpack, deli display, and many other accessories. Ava in particular was really interested in the Mars Mission theme and so was really eager to pay with the Mars Space Station set. 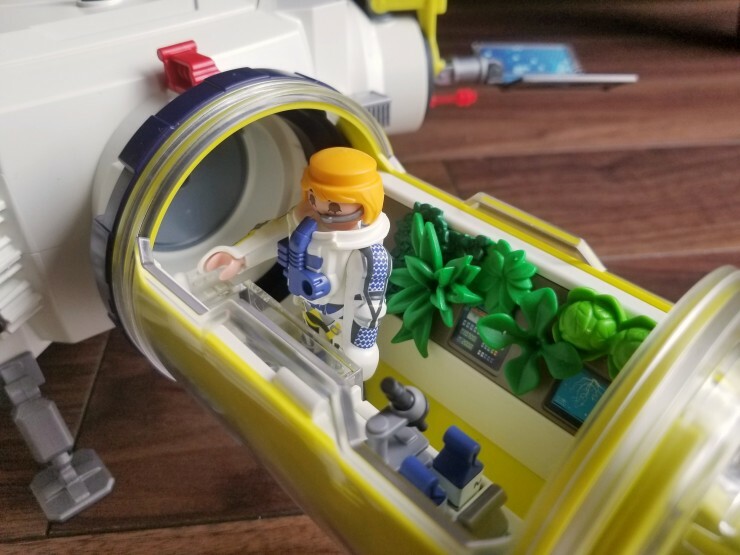 Venture into undiscovered worlds with the Mars Space Station! 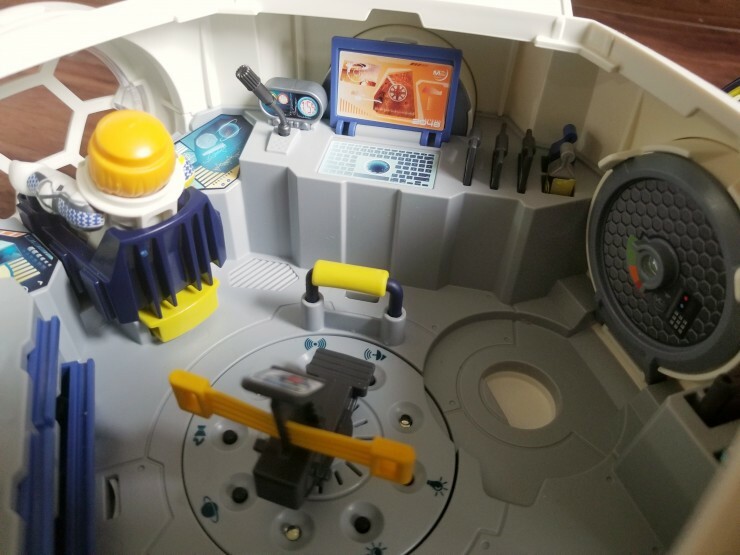 Equipped with all the tools needed for space exploration, the station is ready for a successful mission! Thanks to the functioning lights beneath the central hub, astronauts can easily find their way back to base. Then, enter the illuminated station interior via the front ramp and through the secure rotating hatch. Once inside, astronauts can enter the central command space, from which all missions are monitored, or choose one of the modules, equipped with everything from sleeping compartments for the crew to a lab for analyzing samples. 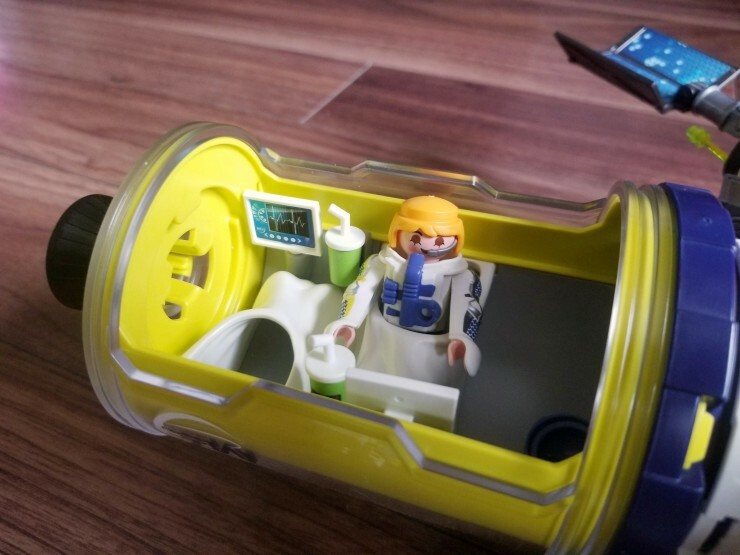 The two free docking stations allow the crew to connect external equipment, such as the Mission Rocket with Launch Site and the Satellite Meteoroid Laser (sold separately). During their down time, the astronauts can keep in shape with the station’s fitness equipment. To access the interior, pull off the station’s removable roof and get hands on with all aspects of the mission. The movable laser gun helps protect against unknown elements, while the alarm lights and sound warn against any threats. Other sound effects, including radio contact, jet propulsion, and background space noises, add to the fun and bring the mission to life! 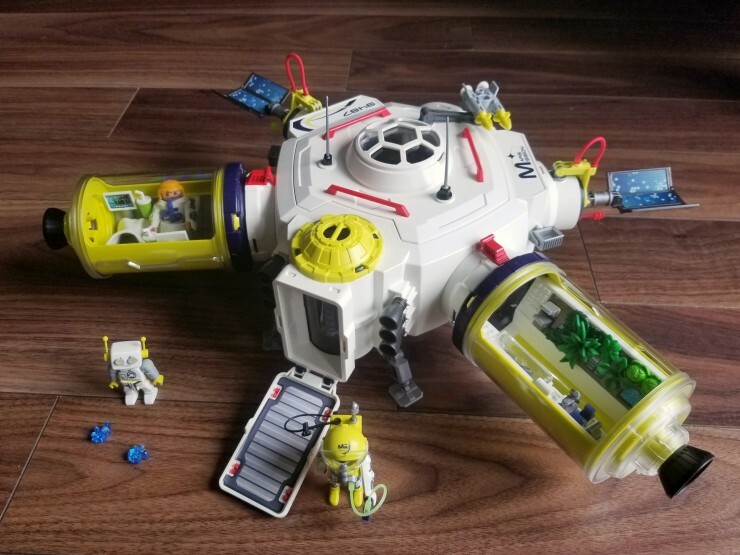 The Mars Space Station set includes two astronauts, one robot, space station, computer, tools, food supplies, space crystals, telescope, video recorder, and tons of other accessories. 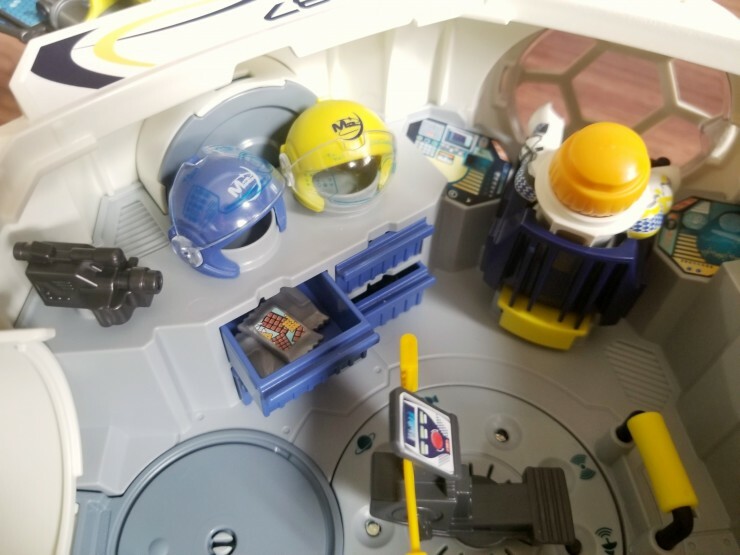 The amount of details and accessories included in these sets do a lot when it comes to keeping kids engaged and playing for hours. I am more than a little bit obsessed with the care and detail that has gone into these sets. Each set is so detailed, everything has been thought of for an authentic experience that kids can explore in a vast amount of different ways. My girls love setting these up to play every bit as much as they enjoy actually playing too. They take a lot of care to set everything up just like in the picture on the respective boxes. 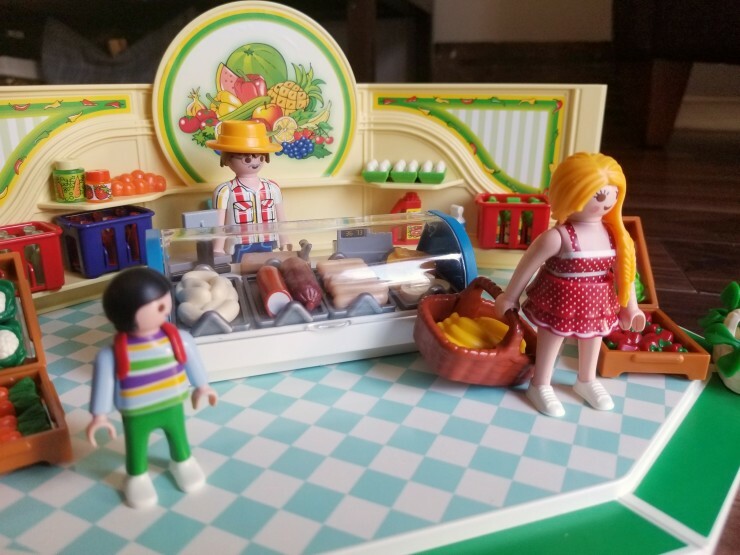 Not only are these Playmobil sets perfect for creative playtime, their quality makes them a great investment that will last for years of fun to come. Disclosure: I received the above mentioned products in order to facilitate this review. All thoughts and opinions are honest and my own. These sets are amazing, and so very well detailed, can’t be bored playing with these! 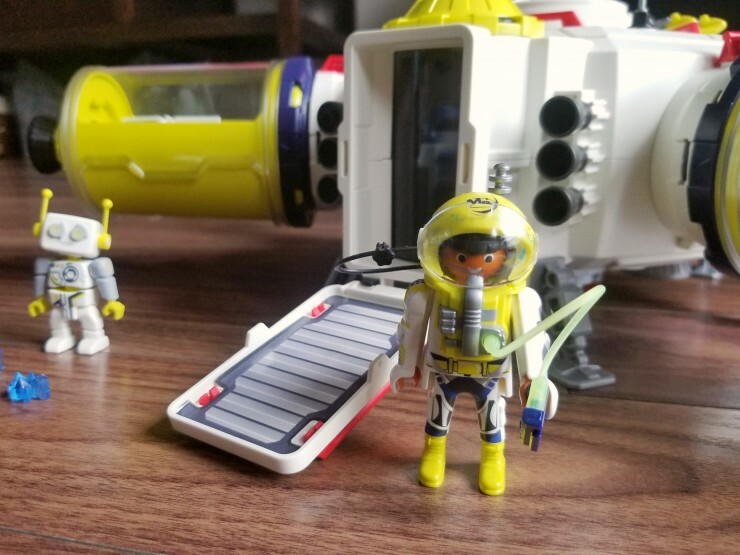 My girls have some of the other Playmobil Space sets, and I am certain they would love that Mars Space Station set. Thanks for all of the cool out of the box photos. Now I definitely have to bump that set to the top of the list.